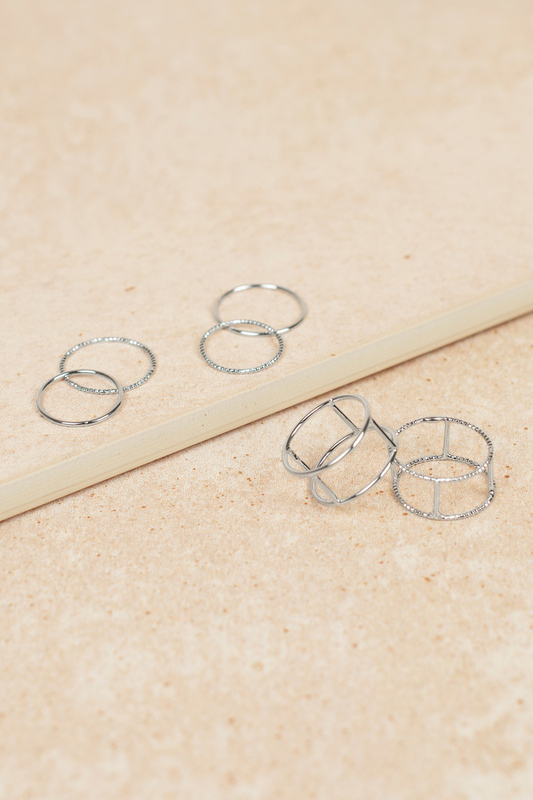 Check out Tobi's Mervin Ring Set It's the little things with the Mervin Ring Set. 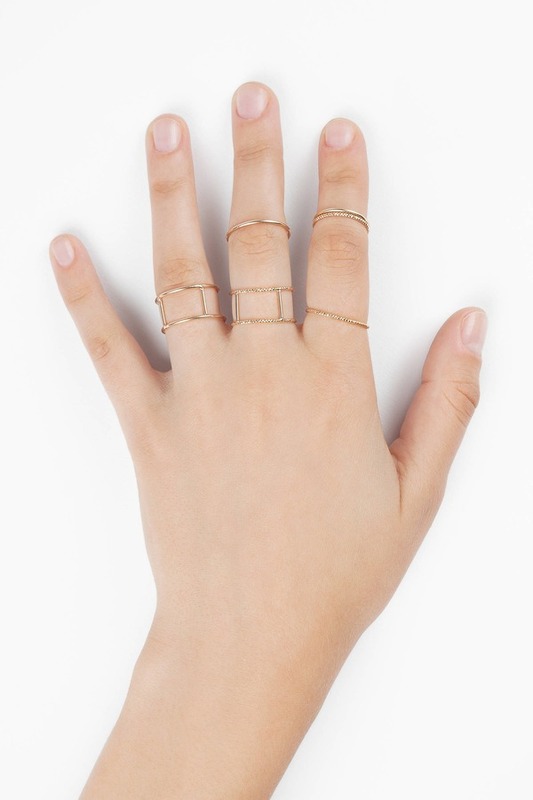 Get handsy with a special set of 6 dainty rings that vary from smooth to textured metal. 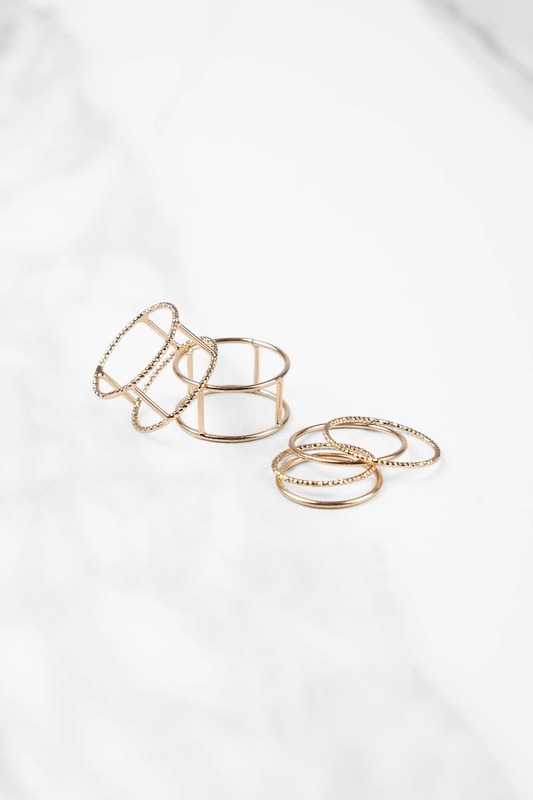 Wear these pretty little rings as you please either stacked or separately. It's the little things with the Mervin Ring Set. 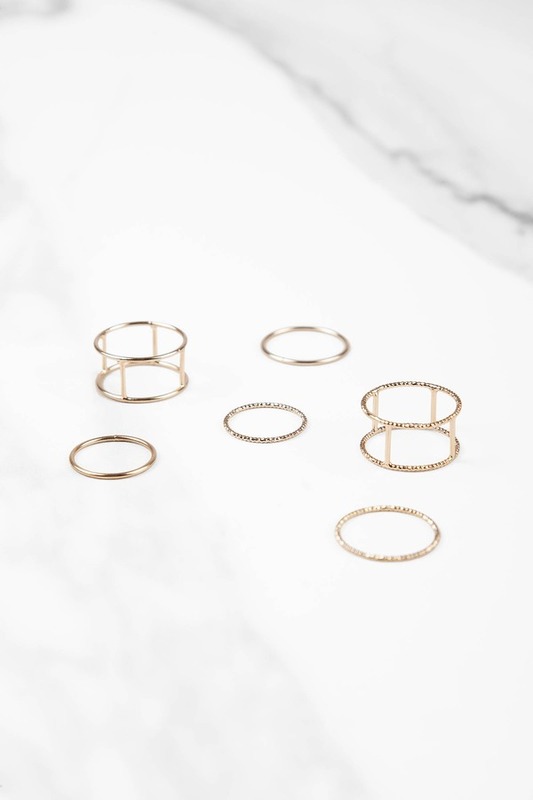 Get handsy with a special set of 6 dainty rings that vary from smooth to textured metal. 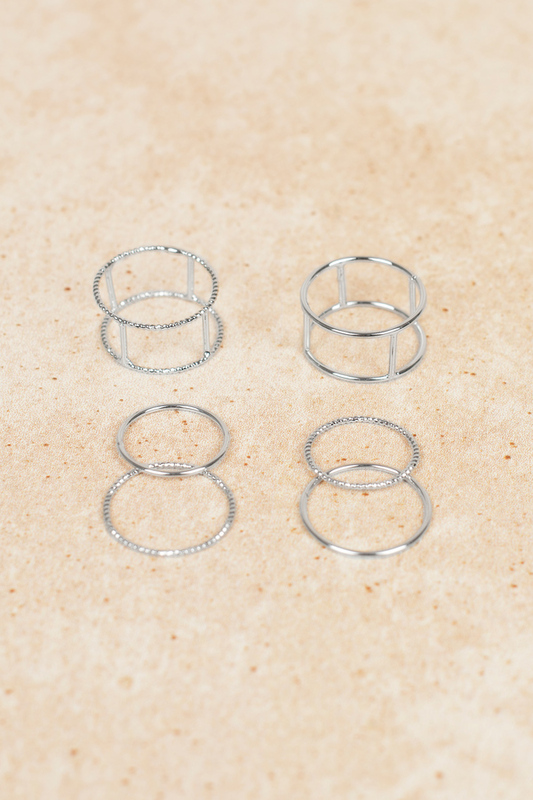 Wear these pretty little rings as you please either stacked or separately.